We’re feeling a little blue today… No, not sad. In fact, we’re delighted! 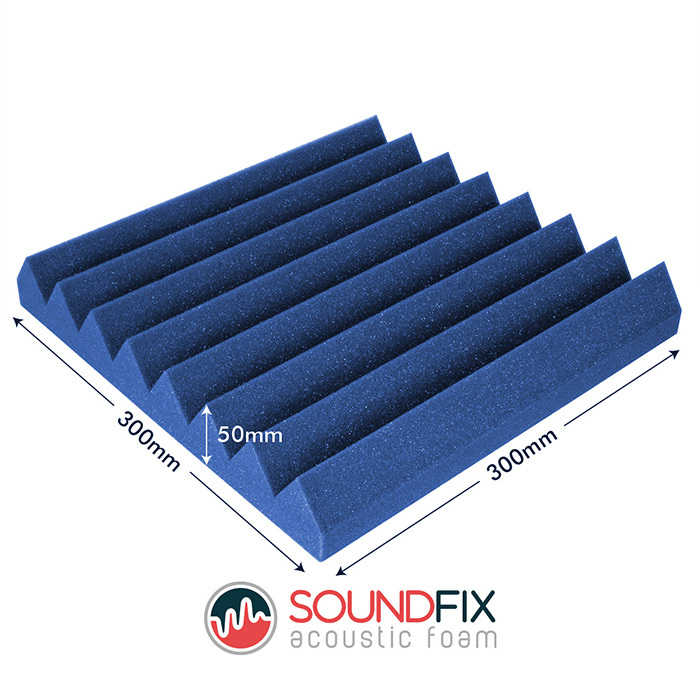 Delighted to introduce you to these fantastic SoundFix Blue Acoustic Wall Panels. If poor room acoustics are getting you down in the dumps, we’ve got the remedy. Turn that frown upside-down. 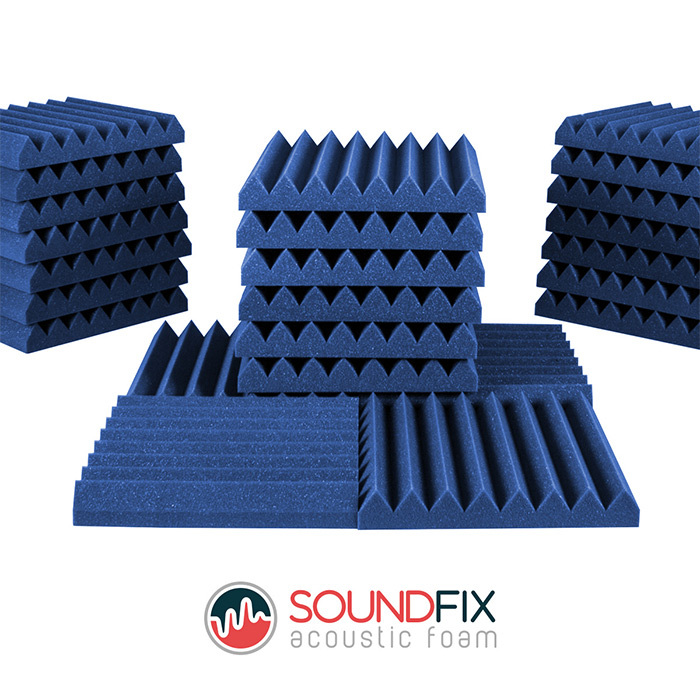 With our Blue Acoustic Wall Panels, you’ll never need to concern yourself over poor room acoustics again. Blue Acoustic Wall Panels. Manufactured in the UK. Treats medium to high frequency sound waves in your room of choice. With an NRC rating of 0.85 these acoustic wall panels absorb up to 85% of sound wave energy! Wedge design and CNC cutting using the latest foam cutting technology. Suitable for use in a range of areas from recording studios to home cinemas. UL94 approved. This product exceeds UK Fire Safety regulations. 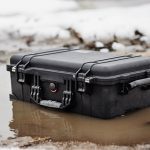 Ensure your safety and protect your valuable equipment. 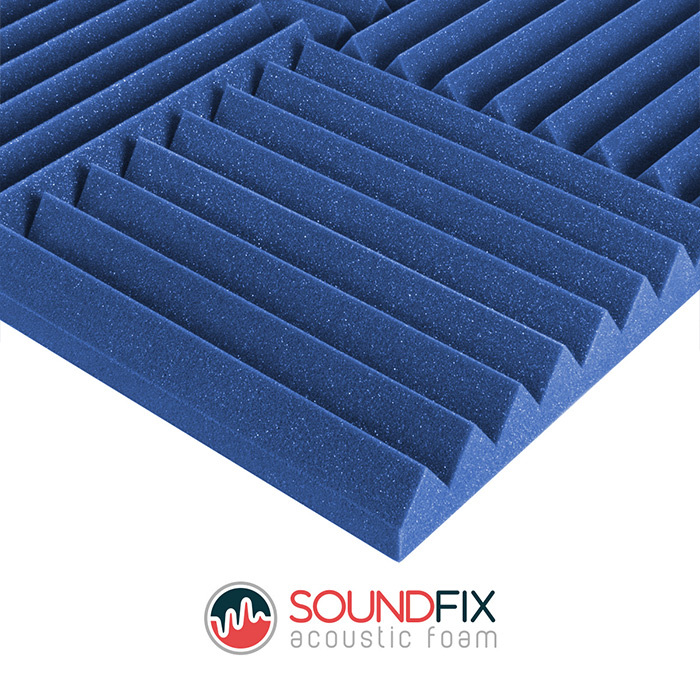 These sounds absorbing blue acoustic wall panels should not be used for the sole purpose of soundproofing. 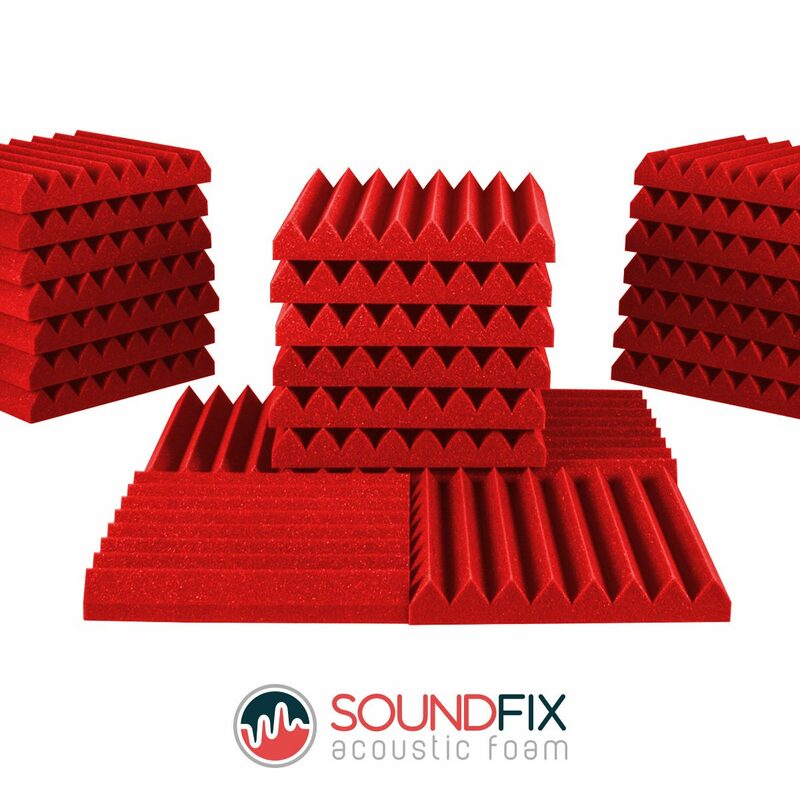 They are designed to absorb sound and improve room acoustics. Manufactured in the United Kingdom to ISO 9001 standards. Sound waves can be slippery so and so’s. When given the opportunity, they bounce around from wall to wall causing all kinds of acoustic havoc. They say seeing is believing. We disagree. We don’t need to see a sound wave to know they exist. And not being able to see them doesn’t mean we can’t control them. Our Blue Acoustic Wall Panels work to cease interfering sound waves. 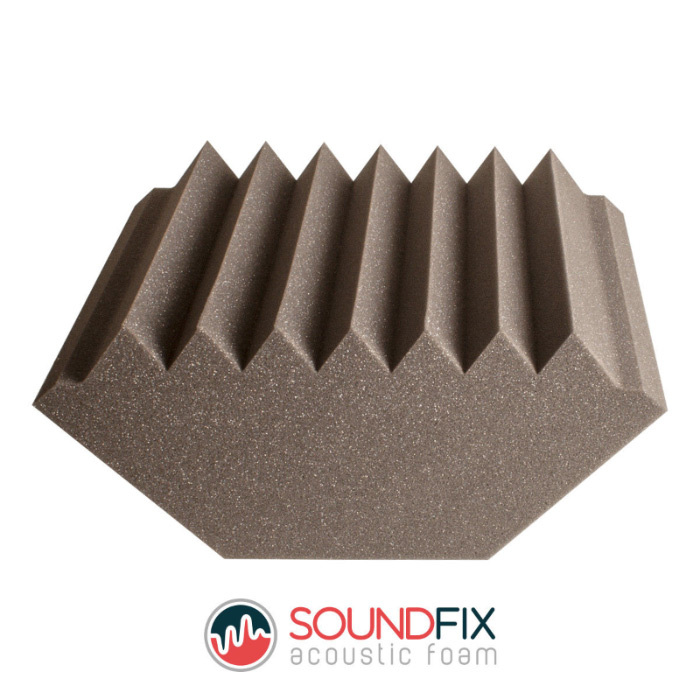 By softening vulnerable reflection points and making use acoustic foam’s specialised cellular structure, we can improve room acoustics. 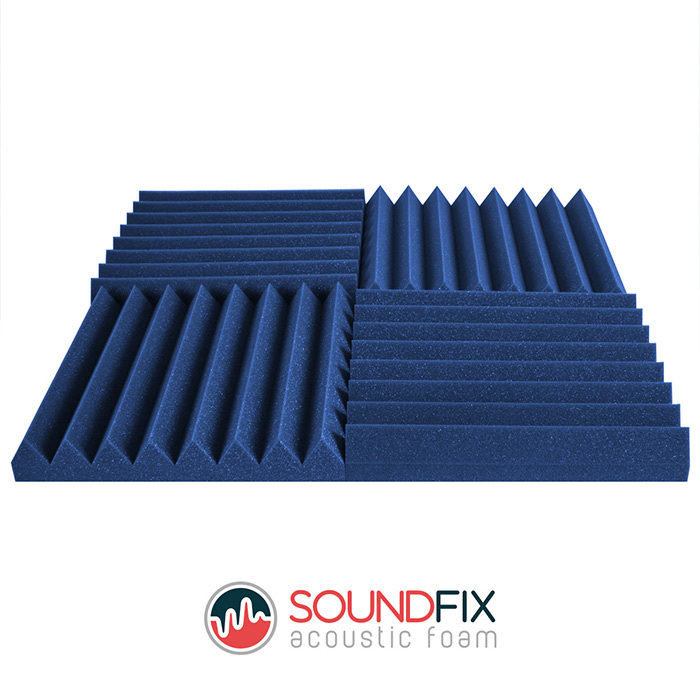 Mount these Blue Acoustic Wall Panels using a spray adhesive (sold separately) within your room of choice and notice the immediate difference! These Blue Acoustic Wall Panels are suitable for rooms of all shapes and sizes. From huge commercial recording studios to the modest one you’re building in your spare room. Wherever there’s a need for sound improvement, this product can help. It’s not just recording studios that benefit from this product as well. 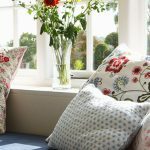 Customers choose to use our products throughout a variety of rooms used for all manner of purposes. Examples include rehearsal rooms, home cinemas, schools, public transport buildings, event venues and much more! Why Choose These Blue Acoustic Wall Panels? 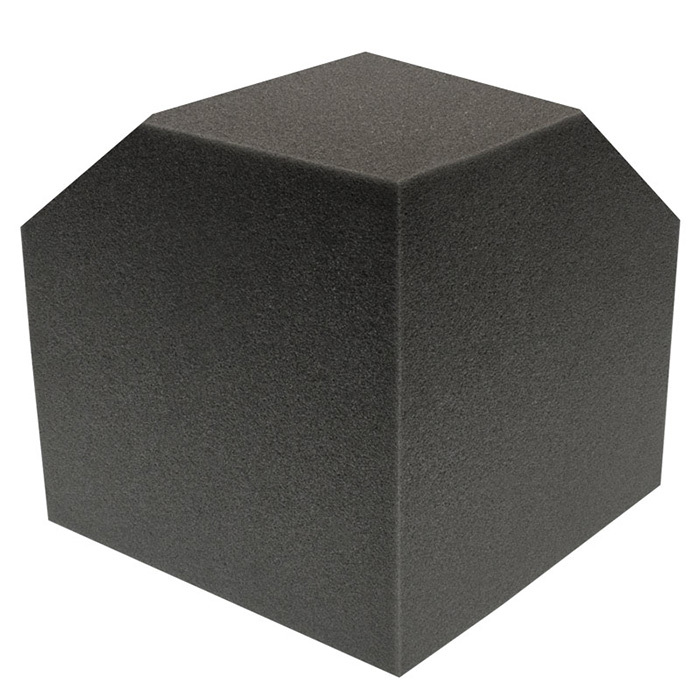 This product offers a visual alternative to your classic grey acoustic foam panels. If you’re looking for the extra “wow factor” these Blue Acoustic Wall Panels are ideal. Not a fan of the blue colour? Not to worry. We also offer this same product in the colour red. Every product we create is manufactured to ISO 9001 standards here in the UK. Our acoustic foam is UL94 approved and exceeds UK Fire Safety regulations. What’s more, it also has an NRC rating of 0.85. On average this makes it 20% more effective at absorbing sound wave energy than the industry standard. When you buy from us, you’re buying directly from the manufacturer. Not only does this mean you’re saving money, you’re also receiving over 40 years of foam knowledge and experience. If you’ve got a question about any of our products, we’ll be more than happy to help! Got one set of blue and one of grey. Both very, very good and look great together. First time I've seen these available in blue. Had to give them a shot. Love the look of these. Arrived quickly as well. Really nice colour tiles, never really liked the look of the standard ones you see everywhere. These panels look really smart. Wonderful tiles better than I thought they'd be. The blue tiles look great on my walls and are very high quality. They not only look good, they actually make a significant difference. Super! These tiles look great, fit in nice with my room. Not too bright or garish which is good. Just what I needed. Thanks guys! Love my new blue tiles, thank you guys. Decent foam panels would buy again. Really nice colour tiles and appear to be of a decent quality. Excellently made, seem to be doing a great job and makes a nice to change to the regular colour. Look good and seem to do the job. Great! excellent product, but still in two minds whether I should order red now as well. I'm so glad I could get these in blue, matched my walls perfectly. Excellent quality, my bookshelf speakers sound so clean and crisp now. These look amazing on my studio wall. Great service. Fast delivery. Highly recommended. Thanks! Great product, fast delivery, great price. Excellent quality, arrived very quickly! Wow! You didn't hang about. Arrived the day after I ordered them. Thanks a lot. These have made a noticeable difference since I put them up and they look very nice as well. Brilliant! I don't think you could have done better. Loving the blue tiles! Look great with the grey ones I bought from you before. These are the best! BOught with blue bass traps and they're great!! Love the colour and they have dampened the sound like we needed. These acoustic foam panels look great in my office, they really help to add a touch of extra colour and have fixed the sound issues I was having. Great acoustic foam panels at a really good price. Love the blue colour btw, maybe look at doing some more colours in the future for my choice? Overall these are very nice tiles, only gave 4 stars because they cost a bit more than the grey ones. These have made a big difference since I've put them up. The cool colour is a nice bonus as well. Didn't like the idea of using standard grey ones because I thought it might look a little dull. Love the colour, looks great on my walls. Arrived on time, safe and secure. Bought these along with the blue traps to go in my office. They fit the colour scheme and really help to liven the place up. Super easy to install as well. Alternated this with the grey. They look so cool together. The blue is really vibrant and goes with the room well.